On September 18, Dominica was devastated by hurricane Maria. Coverage of the island’s recovery efforts has dwindled but the Living Water Community hasn’t forgotten Dominica. The TT-based NGO recently launched the Rebuild a Home initiative through The Mercy Foundation and The Global Business Leadership Forum. Using crowd-sourced funding, the initiative aims to raise money to rebuild at least 200 homes in those Caribbean Islands severely affected by the passage of hurricanes Irma and Maria last year. Living Water Community’s founder Rhonda Maingot said while goal is help Anguilla, Antigua and Barbuda, Dominica and the British Virgin Islands, the first new homes will be built in Dominica. 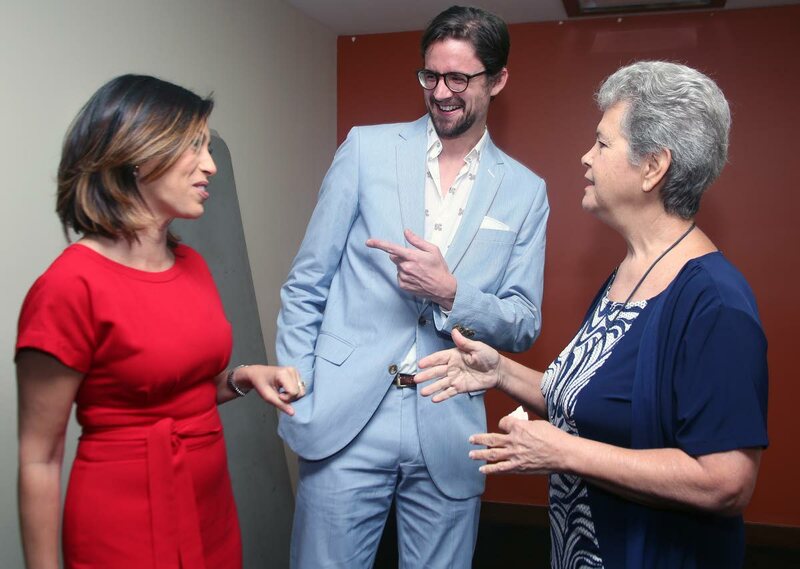 Maingot was speaking with Newsday during the Rebuild a Home launch last week at Government Plaza, corner Richmond and Queen Streets, Port of Spain. The idea for this initiative came about during conversations between Nigel Salina – founder and chairman of The Mercy Foundation, a division of The Living Water Community – and Mark Johnson, partner and chief operating officer at the NY-based Align Entertainment Group. 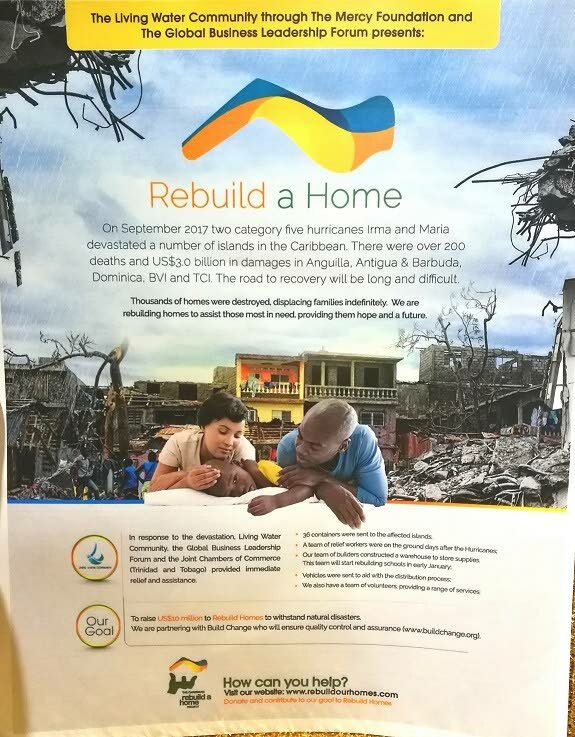 Poster for the Rebuild a Home initiative, which is being undertaken by The Living Water Community through the Mercy Foundation and The Global Business Leadership Forum, to help rebuild homes devastated by hurricanes Irma and Maria. “Nigel Salina and I had been kicking around the idea of a music festival in the Caribbean,” Johnson told Newsday at the launch. “The latest setback was the recent hurricanes. Qnary, a provider of executive social media management solutions, is handling the crowd-sourced funding for Rebuild a Home. Reply to "Living Water launches ‘Rebuild a Home’"